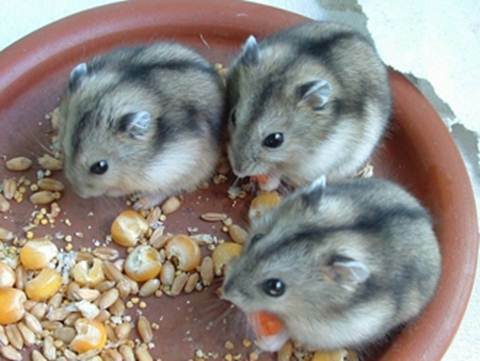 Top 5 reasons to have mice as pets – What do mice eat? It is wonderful to have pets at home. Creating bonding with animals is really fun, engaging and constructive. You will stay jovial and would never get bored at home if you have pets. Loving pets would give you excellent feeling of humanity. Now, choosing a pet animal is all about personal choices. You can start it doing by adopting dogs as pets. This is quite a common thing to do. Cats are also popular options. Some people love rabbits, while some people prefer to have birds as pets. But, have you ever thought of rats as pets? Most of us have scary feeling, when we hear about rats. But, these little animals are not really harmful rather they can be good pets for you. In this article, we shall discuss some of the top reasons to select mice as pets. Be nice to mice – love them and find that they are cute indeed. There are some strong reasons, which can be considered while you want to have mice as pets. Small mice or white mice are super cute. They are adorable, and the most important thing is that you do not have to spend whole day long with them. Just leave them alone with adequate foods and water, they will stay happy as well as jovial. Here in the following sections, let us find the reasons to have them as pet at home. You need to beat your fear that mice are scary. Actually they are not. These animals are harmful omnivorous, and they love to live life peacefully. They can be found in darn, cold and moist places more than often. It gives us eerie feeling about them. But, they do not love to stay dirty. They are stay in such places in search of their foods. In underground storages, grains and seeds are stored. This is why they are found in such place. They generally love to stay in the holes that they make in the soil. Living on these warm earth holes keeps them healthy. Moreover, they love to eat veggies that are produced beneath the soil. For example, potatoes, radish, beet root, carrots, etc. are some of their favorite foods. We commonly find that rat kills are sold in the marketplace. This leads to phobia in many of us, and we commonly start perceiving that mice are harmful for human beings. This is why humans want to kill them. Well, killing any animal is ethically wrong, and against the rule of nature. We often hear that in agricultural fields, farmers use to kill rats for saving the vegetables and corps. However, in reality, rats are helpful to human being. They make holes in soil and keep the soil perfect for agricultural activities. If there would be no rats, soil would have become hard, and drought may take place. According to experts, rats also contribute hugely in raining and natural tree plantation. Hence, mice are not harmful. Humans have to kill them when they grow large in numbers. It is called pest control. Killing animals and pest control are ethically different things. When it comes to having mice as pets, people have common misconception that they would carry virus of some diseases. Well, historically, they are known to carry some viruses that led to several diseases. For example, plague was a fatal disease that has been spread by mice. However, these are exceptional cases. Pigs also scatter swine flu, chickens also spread bird flu, etc. You need to maintain hygiene for your pets to keep them out of the harm’s way. There is no fear regarding having mice as pets. The best thing about having mice as pets is that you do not have to spend a lot of time for them. You can manage your busy schedule, and even after that you can take care of them. Taking care of them is easy. Rats are omnivorous, and they generally love eating seeds, corps, oats, grains, vegetables, fruits, etc. Keep adequate food for them in their cell, and they do not require any sort of attention at all. They love to stay lazy, when they have adequate foods. So, managing white mouse pet or other breed of mice as pets is easy as well as hassle free. If you wish you can buy ready to provide packaged foods for rat pets. From two mice, you will get a whole mice family soon. This is amazing, but at the same time alarming. You need to do separate cages for them, so that they cannot multiply to become huge in numbers. Control their breeding so that they remain in desired numbers for you. Next What do pet mice eat?